Hello there! I cannot wait to start chatting with you! 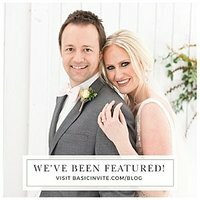 If you are interested in working with us for your wedding or your upcoming portrait session, please fill out our contact form to the right. We love details! If you already know what date and venue you'd like to be photographed at, please share. If you prefer to email me directly, you can reach me at kelliholderphotography@gmail.com. Hello there! Thank you for reaching out to us! I cannot wait to connect with you soon. Please allow me about 48 hours and I will reach out to you as soon as possible. :) Have a great day!